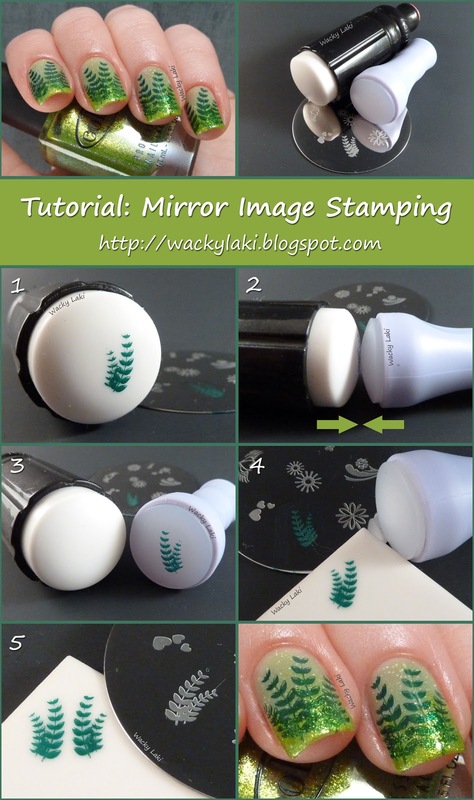 Please note you have to work pretty quickly for this to stamp well or the polish will dry and not transfer. See how quick? I love this technique and hope you find it useful as well! P.S. If you have never heard of an XL Stamper, take a look at this video to see it in action. It can be purchased from Ninja Polish or ebay by searching for "XL Stamper." On a final thought, is anyone interested in me trying to make a basic stamping tutorial? So cool you made a tutorial of this. Is the XL stamper similar to the Magnonails soft stamper? I have heard that one is better than the regular konad one. Any thoughts? Yes Please ! ! ! !